I'll be honest - after watching the Netflix doc The Inventor, I'm still stuck on the saga of Theranos and Elizabeth Holmes. At Maxwell's recommendation, I turned to a multi-part podcast called The Dropout to see what wasn't in the Netflix doc, which seemed to just raise questions without ever really providing answers. 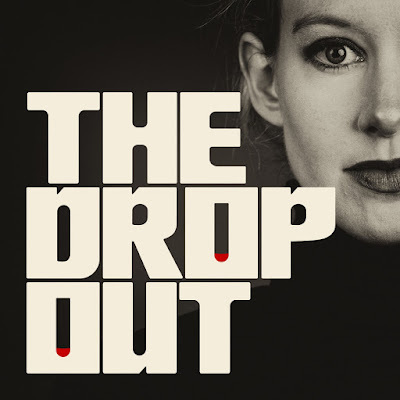 Produced by ABC news, The Dropout covers much of the same territory and the same figures, gets more on-the-record interviews, details more of what occurred, giving specific stories, certainly revealing points that I'm surprised the Netflix doc left out, and generally does a good job of building a solid case for what - at least transactionally - happened at Theranos. But... I'm still baffled by how this even got started in the first place. 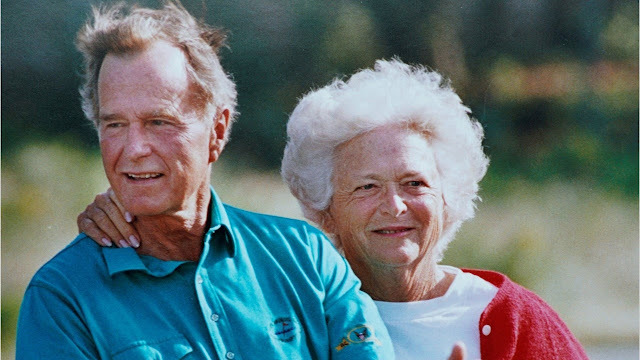 Former President George Herbert Walker Bush, our 41st President, has passed at the age of 94. I genuinely always liked Mr. Bush as Vice President and then as President. When I think of the age in which you may not agree with policies and procedures of a politician, but respected the integrity of the person, I often think of G.H.W. Bush. 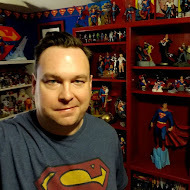 As a site that features content related to Superman, it seems that I should *probably* cover the confusion caused yesterday by The Hollywood Reporter's article that launched a million takes. On 09/12/2018, The Hollywood Reporter posted an article saying that negotiations are going badly between Cavill and WB. The article was retweeted and re-reported on by innumerable nerd sites, all saying "Cavill is out as Superman!" Here's the thing: the article didn't say that. It didn't have a quote from WB or Cavill saying that Cavill is no longer working for WB as Superman/ Clark Kent. You saw a bunch of stuff cited that may or may not be pointing toward a direction for WB or Cavill, but... not really. 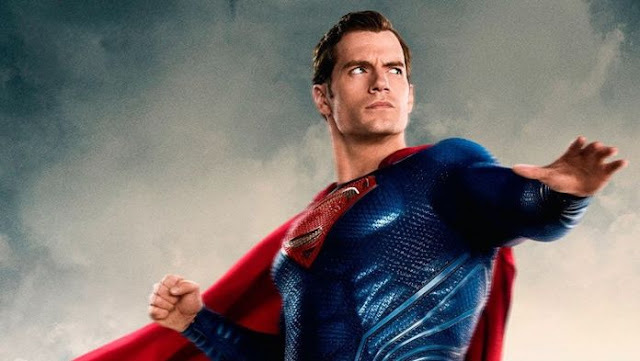 As of yesterday mid-day (US time) parties began walking back the notion that Cavill was out. Patron Saint of The Signal Watch, Lynda Carter, has received a much deserved star on the Hollywood Walk of Fame. When the first bomb went off, I assumed something was up in the victim's personal life - that some crazy story would come out about the person killed. 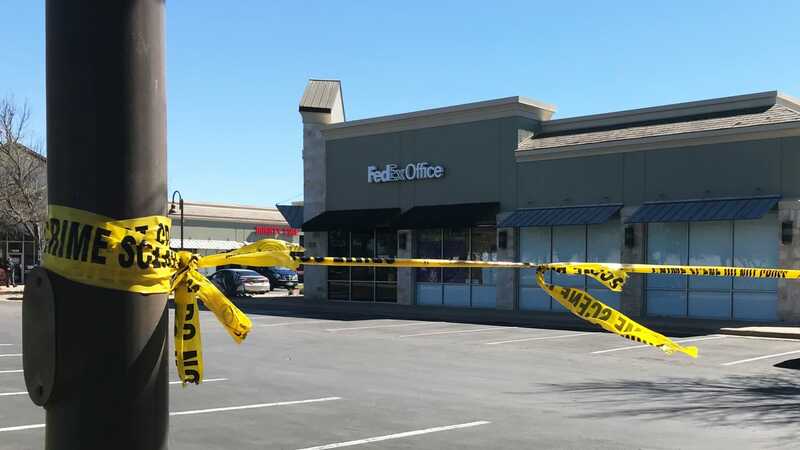 It's not just that it occurred in Austin - where we have a low crime rate, our organized crime is low key, and our murder rate very low for a city of this size - it's that it occurred out in the 'burbs up north. Really, the bombing felt like a freak incident. The local press had nothing to go on, so no one paid much attention. What do you even say when this happens and then... nothing? Fast forward a week and bombs two and three went off on the same day. I didn't write about it, but most of our evenings - and some of our day times - of late have been filled with hours and and hours of Winter Olympics. Snowboarding, ski jumping, luge, skeleton, curling, some hockey, and lots and lots of ice skating. Man. I... am just in awe at this feat of vision, ingenuity and engineering. 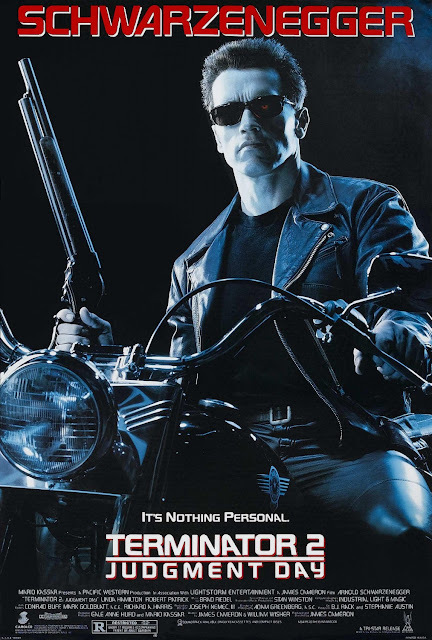 Here in the great State of Texas, it is now somewhat legal to brandish a sword in public. Basically the conservatives have been in charge my entire life, and have run out of things to conserve. I wish I was kidding, but that's how we wasted an entire session trying to tell transgendered people where and how to pee. So, they're also doing stuff like worrying about your right to carry a sword in public, which was apparently a problem for someone. The Texas Law Hawk is here to protect your rights and provide some consultation. He is a real lawyer. 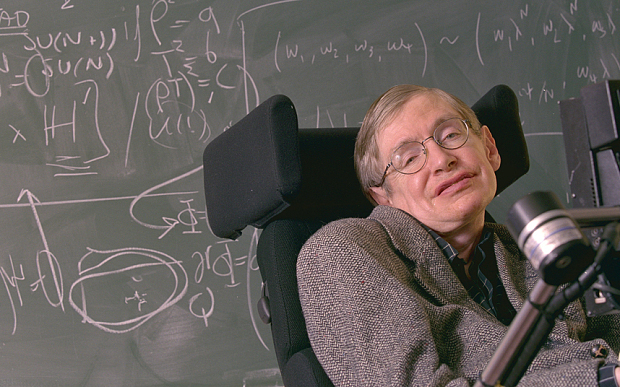 And, some say, a hero. I do not expect most people to understand Houston. I don't get it, and I go there pretty often and have friends there. Lived north of there myself back in the 1990's. It's easy to write-off as a city in dumb 'ol Texas that's probably getting what it deserves. Look, Houston, like any place on Earth, has its issues. But it's not some backwater redneck town. At least it hasn't been since the 1980's. Houston is not just a well-populated metroplex - fourth largest in the country - it's a multi-ethnic, international mix of people with a vibe all its own, a place of genuine opportunity, and full of fine, hard-working people of all stripes. It is geographically huge. Because so much looks the same in the shots they're using in the news footage, that's difficult to get, but what considers itself "Houston" covers roughly fifty to seventy miles across in any direction. These days I don't know when you quit saying you're out of "Houston" when you go up I-45, but it's all one corridor til you leave Conroe, so that's more or less an hour and a half on the road that's all one town. And it does the same going East/ West. And all of it's in trouble. Since my last post on Houston, I've seen footage of the area where I went to high school under varying levels of water. For some reason the thing that broke me was seeing St. Ignatius Loyola, the Catholic Church I only stepped in once, submerged under 3 feet of water, at least. St. Ignatius was the church of many of my friends, it's a positive force in the community, and I don't recall them ever receiving flooding before. I've heard stories of a colleague who was canoed out of her home with her two children and husband, another colleague's parents who were also rescued. Another friend's mom (who just lost her husband a year ago) is staying with a friend as her house is flooded. It's everywhere. 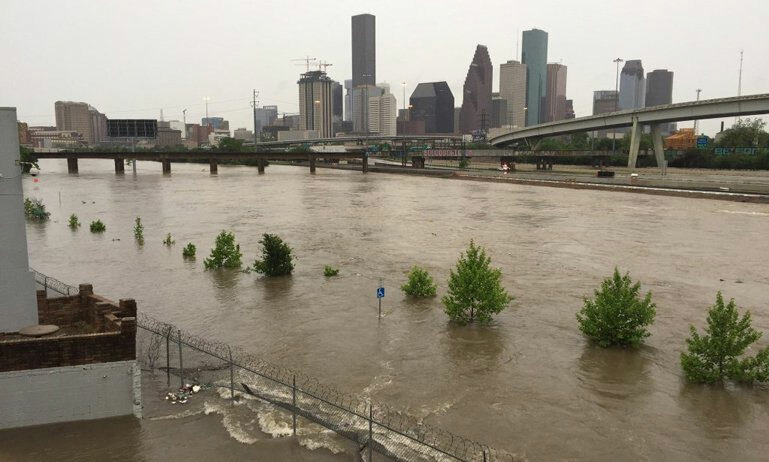 I don't know how we can expect a city of millions to recover. 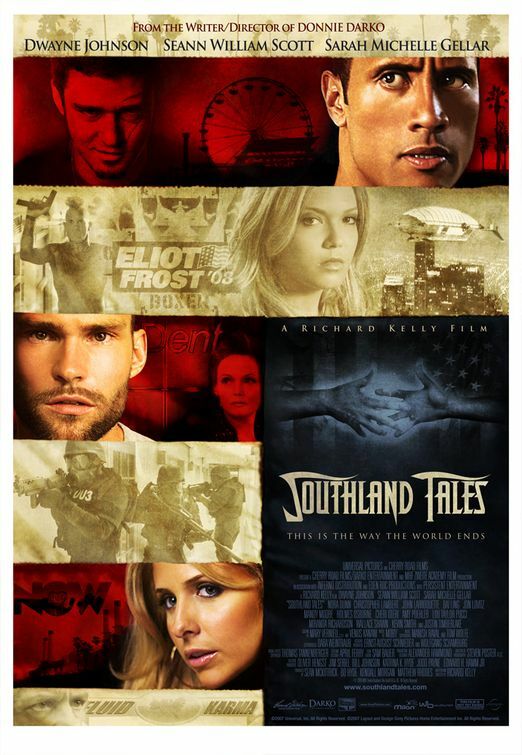 And as a double-hit, I know a lot of Katrina refugees wound up in Houston. So, as too few of us own boats or helicopters, I'm suggesting we do a little something to give. Houston is nothing if not stubborn and resilient. As much as I believe in the spirit of Austin, I recognize and appreciate the heart that is Houston. Good people live there. There's a kindness to the city that's genuine. Just as Houston is a city of people who can fight their way back. I know the weather is probably lovely wherever you are. Here in Texas, we're getting devastated by Hurricane Harvey. I've lived in Texas most of my life, and Austin for most of that. Every time a hurricane has made its way toward the coast, I genuinely worry for our coastal cities but roll my eyes at the dire warnings for Austin. We're a good 3.5 - 4 hours to Galveston Island or Corpus Christi, driving wise. A Straight line to the coast is still something like 150 miles away as the crow flies. As news channels tried to get the story localized, I've filled bathtubs and whatnot in the past, and - of course - nothing happened. So I wasn't expecting much out of Harvey. But, look... that is not what happened. Hurricane Harvey is set to drop record levels of water and do record levels of damage to the Texas Coast and Houston. For those of you from out-of-state, Houston is built in a mix of forested swamp land and marsh/ bayous on the very flat Texas coastal plain. Arguably, it's not the best place for human habitation, but there's some history there for why the city exists, and a lot of it has to do with the utter destruction of Galveston, a prime shipping port in the 19th Century, and Houston picking up the baton in the 20th Century. Galveston was leveled by, you guessed it, a nightmarish hurricane (the death toll was over 6000), and never recovered. The storm changed to a Category 4 Hurricane just before landfall on Friday. Since that time, the hurricane has parked itself on the coast, reducing in speed but not energy, harvesting moisture from the Gulf of Mexico and dumping it as far inland as where I live. It's been raining since right after midnight early Saturday morning. And not just a drizzle. It's been pouring. 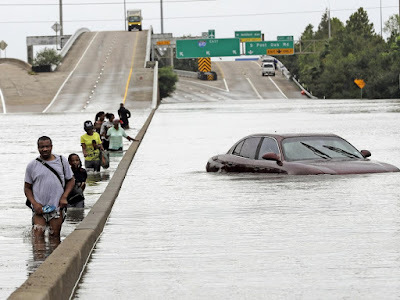 Rockport, Texas - a coastal town where a lot of Texans take their holiday - has been ravaged, Corpus has been heavily hit, and Houston is dealing with wind, rain and now massive flooding. Between graduating from high school north of Houston (Go, Klein Oak HS Panthers! ), a career that involved me with universities across Texas and general intra-state migration, I've got pals scattered across this state, and a good number of people in Houston and in outlying areas. And friends' parents. Heck, our own RHPT has a lot of people in Houston. This is a full blown natural disaster, and if I am cheered, it's that - so far - the death count is very low. If I am concerned, it's that so many cities, towns and suburbs are being damaged and destroyed, and right now those people I care about are huddled and riding this thing out. You can read up on what's happening all over the web, but this will all get worse before it gets better, and could go through Thursday. Here in Austin, I'm hiding out on my sofa, watching The Weather Channel and listening to the rain and wind bang around outside my own house. I keep checking the ceilings to see if we've got any leaks. So far, so good. The dogs are bored and ready to get outside (that isn't happening). I'm beginning to anticipate we won't have work tomorrow as UT tries not to bring anyone in during inclement weather events as they employ thousands and have 50,000 students who would descend upon the city. So, we'll see. So far, we've had several between 7.5 and 8.25 inches of rain in 36 hours or so. Austin is technically kind of desert-y, so, that's a lot. Our creeks will begin flooding here shortly, but it's not like it can be when we see flash flooding during spring downpours that can't be absorbed by the ground and cause a tremendous amount of damage (that's usually just a few inches, but in, like, an hour). Anyway, keep the Texas Coast in your thoughts. Give to Red Cross. Don't spend time thinking about how Houston somehow brought this on themselves. A lot of people are going to need a lot of help once the clouds break. Normally we use this space to talk about movies and comics, maybe a book we read. But, at the moment, we're way past normal. Or, at least, the past year has stripped away the veneer of how we thought things worked and we're now dealing with what we always kind of knew was out there, but just didn't show it's face. That's wrong, too. It did. It's all over twitter and has been boiling over in the comments on legitimate news sites and in our facebook feed from people we used to know in high school. It's always there, from our complacence in the face of the social inequities we see (and tell ourselves nice creation myths rather than grappling with multi-generational issues), to legislation intended to discriminate, to how we think about perpetually skewed law-enforcement records to how we whisper certain words. I'm as white a cracker as you're going to find. I might as well have "privilege" stamped across my forehead, and I see this stuff everywhere, and I've seen it defended and warped and refracted through appropriated slogans and an unending sea of false equivalencies that don't hold up to the slightest examination. And, because I'm coming from a place of privilege, I have to accept that I'm only seeing a fraction of it. I hadn't really planned to go to the Women's March in Austin early in the week. While I understood and supported the idea (more on that later), I also am of the opinion that the last thing anyone needs at a march for women's rights - and as the event drew closer, LBGQT rights, the rights of POC, the rights of people non-Christian faiths, the rights of immigrants - was to have a giant, 40'ish, straight, white man standing in the middle taking up space. "Will you be going to any of the marches?" a colleague asked me. 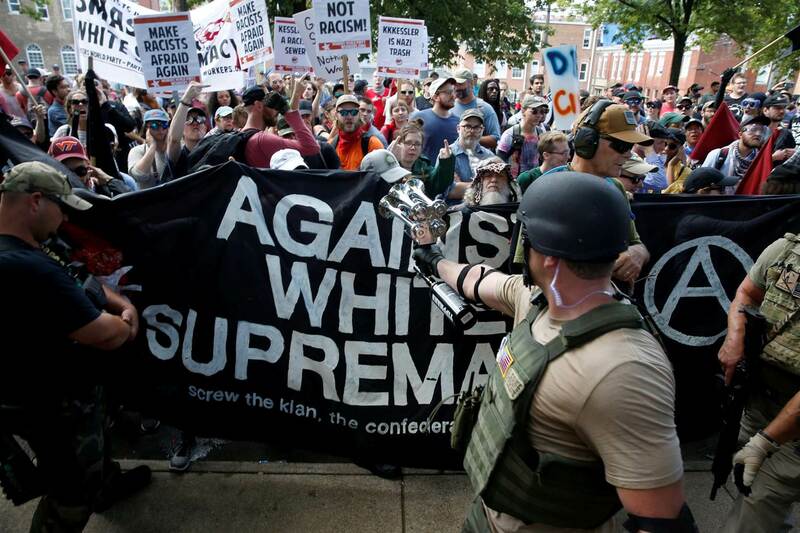 "There's not really a march for boring white dudes," I said. "Well, you could always come out in support." Support, indeed. Maybe I wouldn't just be in the way. When I mentioned maybe going to Jamie, she was on the idea like white on rice (and hadn't asked because she knows I like my Saturdays for coffee and contemplation. Sometimes we do that thing where we don't ask each other if the other wants to do something because we both assume the other won't want to, but we're both into the idea), and because Jamie is a woman and I support her, we were off to the races. Now, this isn't a blog on politics, and despite my personal misgivings about the new president and his crew, I am not planning to turn this into my soapbox (much). But, I gotta be me, and so occasionally don't be shocked if you see a This Moment in History (tmih) post, or an Actual History or news post. Or, even something personal. 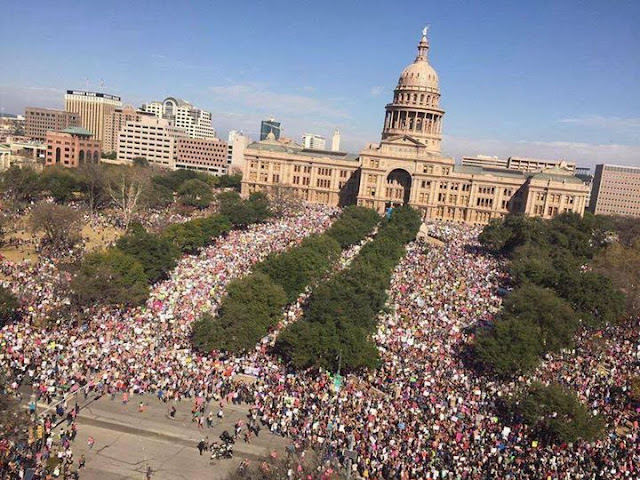 And, yeah, participating in one of the largest collective protests the country has ever seen (and I will go to my grave telling you that the 50K number being quoted for walkers at today's march in Austin is too conservative an estimate) is something I did, it was a newsworthy event, and so, it's going to wind up on this site. You don't have to read the posts and you don't have to care. There's no fee either way. 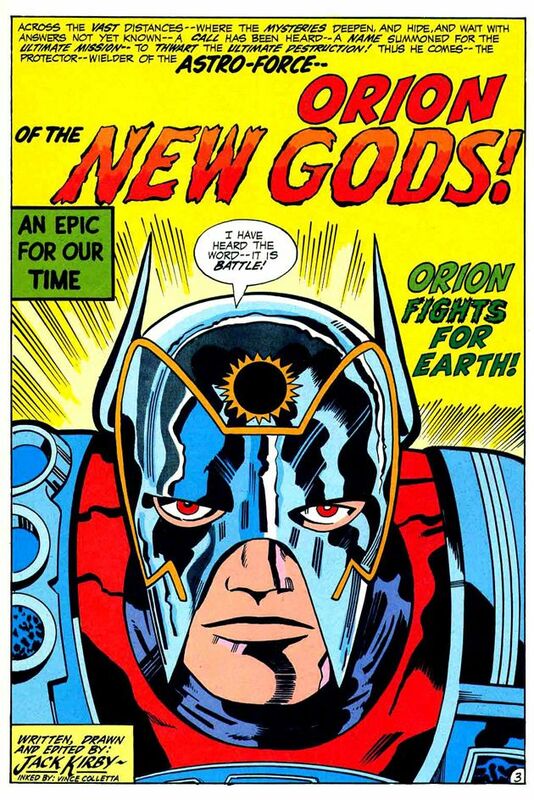 Well, this is the strangest twenty-four hour period I can recall in quite a while. I've been steering clear of talking too much because so much has already been said, and, what have I got to add at this point? I've not been engaging with folks much online - I don't really know how to respond. I'm used to seeing my candidates take it on the chin - I live in Texas after all - but I'd bought the pollsters telling me how this was gonna go, and I kind of figured enough of America knew a boorish charlatan when they saw one, and we were going to see a bit of grudging sanity play out. Sorry for the age-old meme. I've got nothing else tonight. 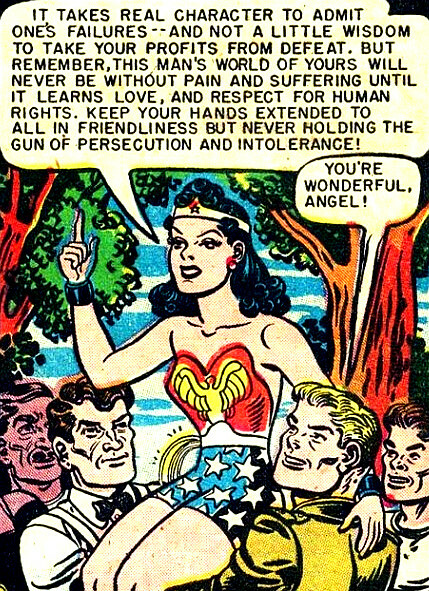 Yesterday was, apparently, the official 75th birthday of Wonder Woman. 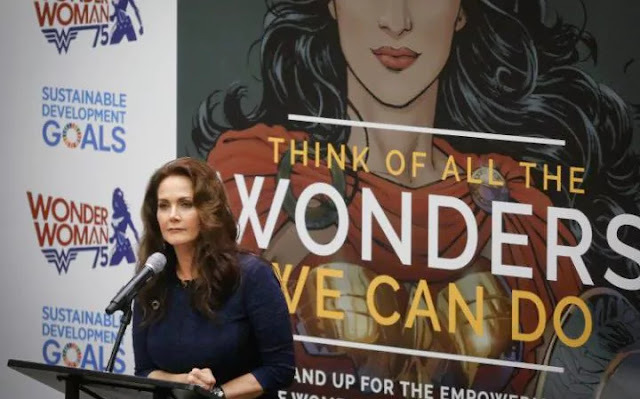 As part of that event, Wonder Woman was made a Special Ambassador of the United Nations, an icon for new efforts within the UN to speak on behalf of gender equality. 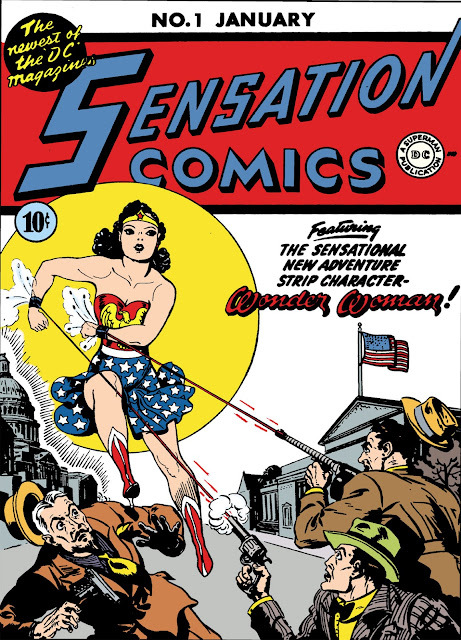 I don't know how much of Wonder Woman's origins most people know, or how hung up they are on some of the more salacious details of creator William Moulton Marston's personal life, or how that played out on the comics page. But I do know that Marston was sincere in his interest to create a strong female superhero, not just with whom little girls could identify, but for little boys to understand that women could do all the things that men can do. They can leap into the fray and they stand as equals (although I'd argue Marston may have had a bit more of an ideal of a matriarchy in mind even more than than just an egalitarian ideal).